Remember when you could escape a hot summer afternoon by going to the beach? At the beach the heat of summer doesn’t seem to matter all that much. The smell of salt in the air takes away the stickiness of humidity and the sound of sea breeze can put anyone’s mind at ease. Today’s hot summer-like temperature makes me want to go to the beach. 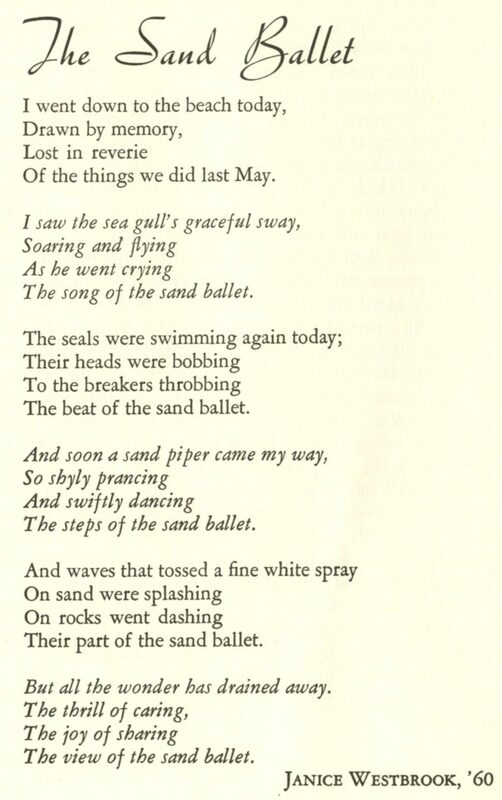 With the fall weather fast approaching us, take a break from the heat and check out this poem about the beach written by Janice Westbrook, class of 1960. 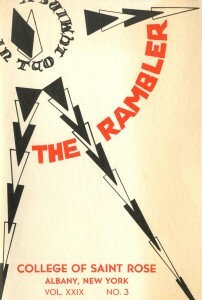 “The Sand Ballet” was published in the summer 1957 edition of The Rambler, a student publication that ran from 1929 to 1974. 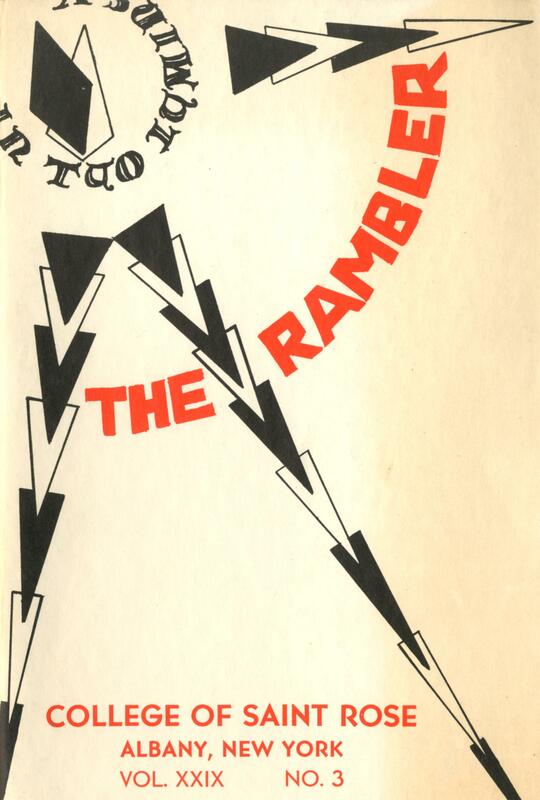 In The Rambler were articles, drawings, poems and short stories written by students. I love how Westbrook sees the beach as a show. The seagulls, seals and sandpipers all move in unison to the music of the ocean. 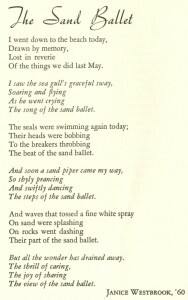 The narrator of the poem is only there to watch this happen, as if she were going to the theatre to see a dance recital.